This list will cover some of the most frequently asked questions that NH personal injury attorneys receive. 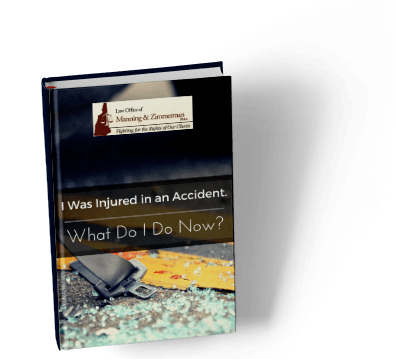 By covering the basics, you can increase your understanding of the laws surrounding personal injuries and maximize your chances at a successful lawsuit. Bodily injury claims are also commonly known as personal injury claims. These claims cover a wide variety of economic damages, including but not limited to medical bills. You may also receive compensation for lost wages, transportation costs such as repair bills and rental car expenses, and other general damages. General damages may include pain and suffering, humiliation and emotional distress. Even if you choose to settle your claim, you should include all relevant damages in your settlement because you may not be able to pursue them later in court. If your personal injury claim is successful, your insurance company may demand to be repaid through it. Most insurers use language that allows them to be repaid for medical bills if a claim is made. This practice varies significantly from one state to another, but it is quite common. Can a lawyer make a copy of the settlement check? Yes, you should always ask your lawyer for a copy of the settlement check as soon as possible. You should also ask to review the settlement breakdown sheet before you deposit the check to ensure that the full payment was made. In most cases, the check is made out to you and your lawyer, so you must both endorse it before you can make the deposit. Your lawyer should provide you with a copy of the original settlement check that was forwarded to him directly from the insurance company. In most cases, it is not possible to break an annuity in any settlement. Annuities are designed so that the insurance company can pay out the settlement over a longer period of time rather than one large payment. If you were underage at the time of the settlement, your parents may not have had any other option than to accept a lump sum payment and put it in the bank. The interest accumulated from such an arrangement is significantly less than that accumulated through a structured settlement annuity. In some cases, a court can be persuaded to set an annuity aside, but it is highly uncommon. Another alternative is to sell the structured settlement to a company specializing in such purchases. 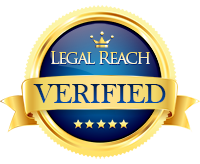 Your NH personal injury attorneys are not likely to advise this option since these companies often purchase such settlements at cents on the dollar. In most cases, parents do not have access to a child’s settlement money. Settlements are designed to protect such funds from parents who would abuse them. Most courts place a child’s settlement money in a blocked bank account to collect interest until the child reaches the age of majority. Sometimes parents are allowed to withdraw money from such accounts to pay for the child’s well-being, but these instances must be approved by the court. Can a lawyer settle without his client’s consent? If the retainer agreement you signed permits your lawyer to settle without your consent, he may be able to do so. If your attorney settled without your consent and you did not sign a release agreement allowing him to do so, you should voice your displeasure with the settlement. Even if a check has already been forwarded, you can simply return the funds. This matter depends on the retainer agreement you signed with your lawyer. Some agreements base the lawyer’s percentage fee on the gross settlement before bills are paid, while others base the fee on the net award after medical expenses are paid. If you are filing a claim against someone with insurance, you can simply notify the company of the judgment in your favor. In most cases, the insurance company will write you a check for the amount in damages that the policy will cover. If the person is uninsured or the settlement is greater than what the insurance company is willing to cover, you may have to enter the judgment with the court and seek enforcement. In cases where the debtor is unwilling to pay the judgment, you may choose to pursue payment through an attorney who specializes in collecting judgments. No, there is no minimum or maximum amount for which you can settle in a personal injury claim. The amount depends on the severity of the injury, the extent of economic damages and the time your injury is expected to persist. A lawyer may be able to help you determine an appropriate value for your case. Contingency fees are usually negotiated with the particular attorney you are working with. In California, the average fee is 40 percent for issues litigated through either trial or arbitration. Some lawyers may be willing to negotiate a lower fee if asked. If your case is a non-liability issue, you may expect to pay a lower contingency fee. If you have been injured due to the fault of another person or entity, you may be eligible to file a personal injury lawsuit or obtain a personal injury settlement. This process can be difficult, and it may be in your best interest to obtain the representation of a legal professional. Contact our NH Personal injury law firm; Law Office of Manning & Zimmerman PLLC today at (603) 624-7200 for more information on proceeding with your claim. 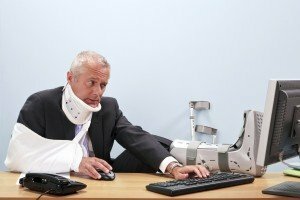 Working with the right NH personal injury attorneys may increase your chances of getting the compensation to which you are entitled.